Extreme weather conditions prevalent in May 2016 in Sri Lanka resulted in severe floods and landslides affecting 340,150 persons in 22 Districts, resulting in 84 deaths and 116 persons missing. Over 500 houses were fully damaged and 3,793 houses were partially damaged while 237,240 persons were displaced from their homes. The Districts of Colombo, Gampaha and Ratnapura were the most severely affected by the floods, while Kegalle District was affected by several landslides. 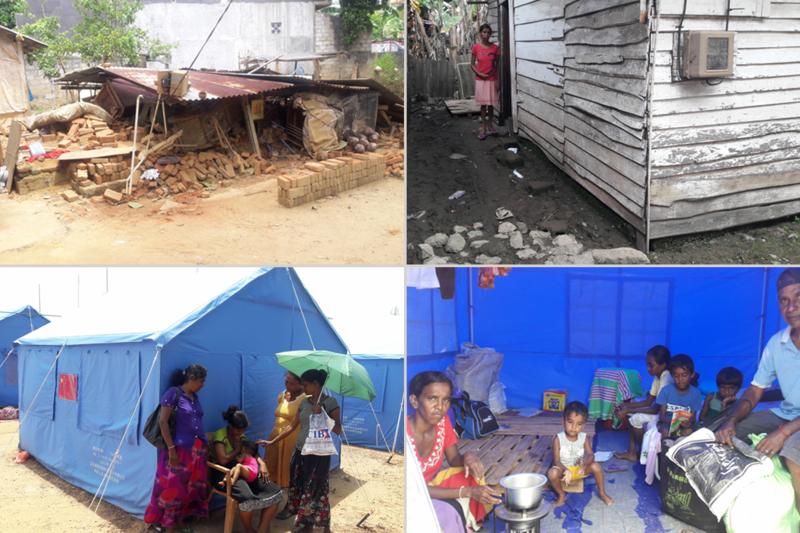 In response to this national crisis, UN-Habitat is providing relief assistance to affected communities in Colombo and Gampaha districts in Sri Lanka’s Western Province. Funding for this project is provided by the United Nations Central Emergency Response Fund (CERF) with additional funding by UNHCR and the Swiss Government. This project will address several CERF life-saving criteria including the provision of basic Non-Food Items (NFIs) for affected populations. UN-Habitat will implement all activities in collaboration with Government of Sri Lanka counterparts, Local Government Authorities and the affected communities. Implementation will be in partnership with the Rural Development Foundation (RDF) and International Federation of Red Cross and Red Crescent Societies (IFRC). UN-Habitat will be responsible for the overall coordination and supervision for the implementation, beneficiary identification, community mobilization, monitoring, reporting and financial management. The Project will mobilise communities to undertake recovery activities in a participatory manner involving women, youth and other vulnerable groups. UN-Habitat will involve the affected people from the planning stage and implementation and monitoring with special attention to the most vulnerable poor. Gender and age segregated data will be maintained throughout the project to ensure the project addresses gender specific needs including protection and hygiene issues. Vulnerable female headed households will be prioritized for transitional shelters and shelter repair assistance to augment protection of females. Provision of 130 transitional shelters for flood affected returnee families. Housing repair, cleaning, restoring WASH facilities provided in 82 GN divisions. Distribution of NFI kits to affected families in 75 GN divisions. Housing repair, cleaning and restoration of WASH facilities.